This project is the result of a single week workshop on IoT and connected devices I attended to in third year of Bachelor's degree. The main goal was to prototype a meaningful device coupled with an app as we decided to work on musical awakening of young child (3 to 7 yo). 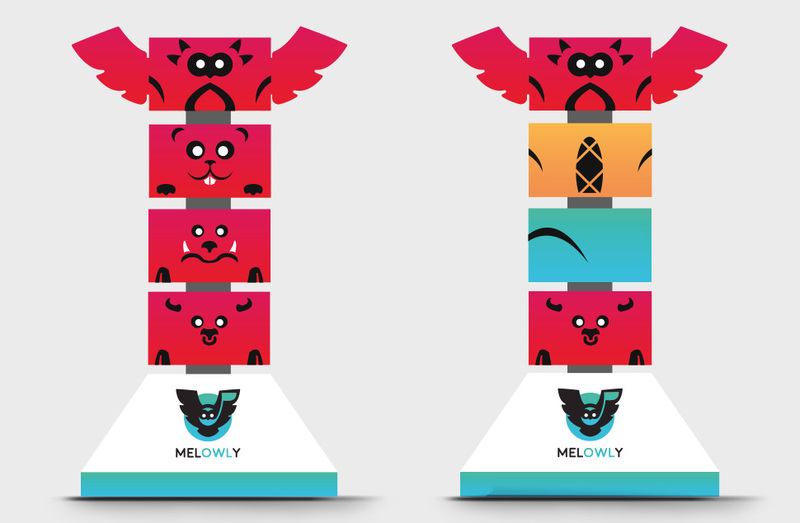 Melowly is a totem toy connected with a game app. It aims for the musical awakening of kids between the age of 3 and 7. The totem is made of four cubical animal modules. Three of this modules have buttons of the external faces for a total of 12 buttons, each for every musical note. 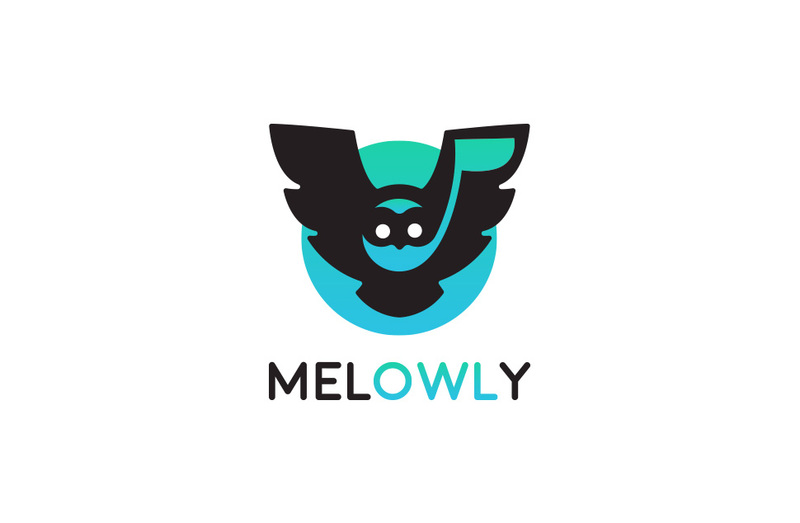 The head module, the owl, is equipped with a speaker for the music. 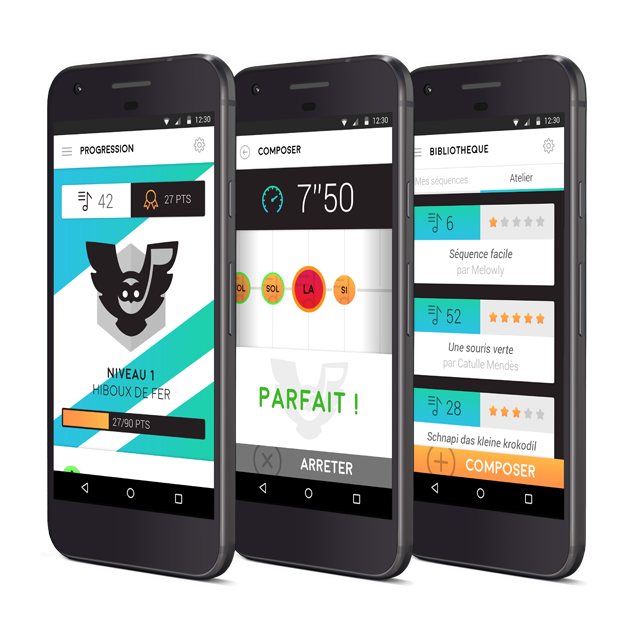 The whole totem is synchronised with a smartphone or tablet app for parents and kids to choose activities, share music sheets or monitor the progression. The kid has to reproduce a musical pattern given by the application, by pressing the right buttons on the animal modules. Game mechanics are quite obviously inspired by the famous Simon game. Animals and colors are meant to guide the kid through the process while being friendly and engaging. 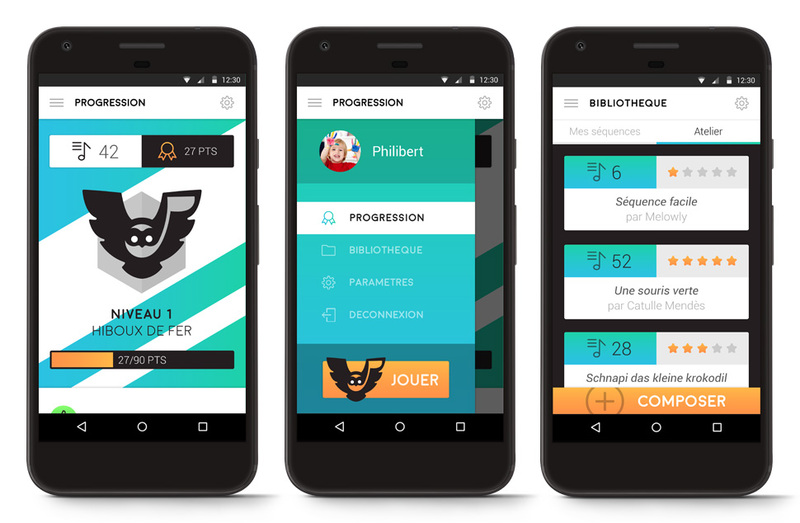 The app allows the parents to monitor their kid's progress through a playful and engaging ranking system. 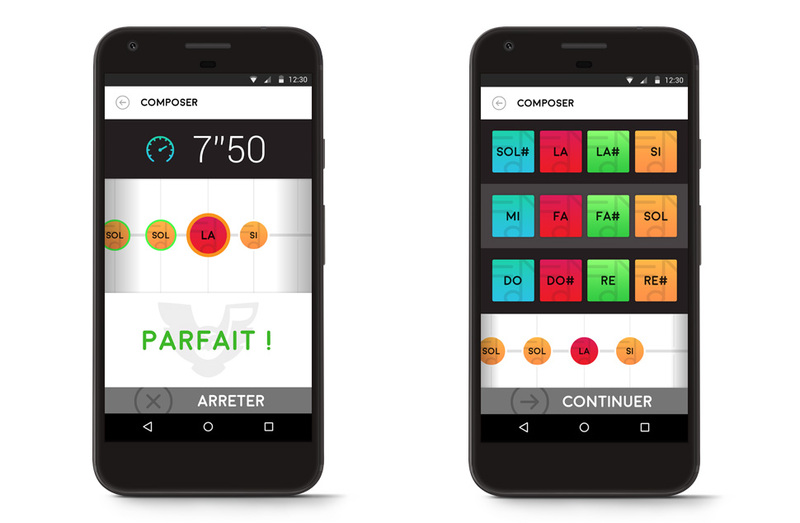 They can compose tracks with their child by using a simple interface and a dynamic timeline. In the collection, they can store all the tracks they composed or dowloaded from a 'workshop' space where the community shares tracks for free. The tracks are sorted by number of notes and difficulty. A challenge mode brings to the parents the opportunity to improvise a track live while the kid tries to replicate it.